Meet Paolo Zappalà at Mobile World Congress 2019 in Barcelona! 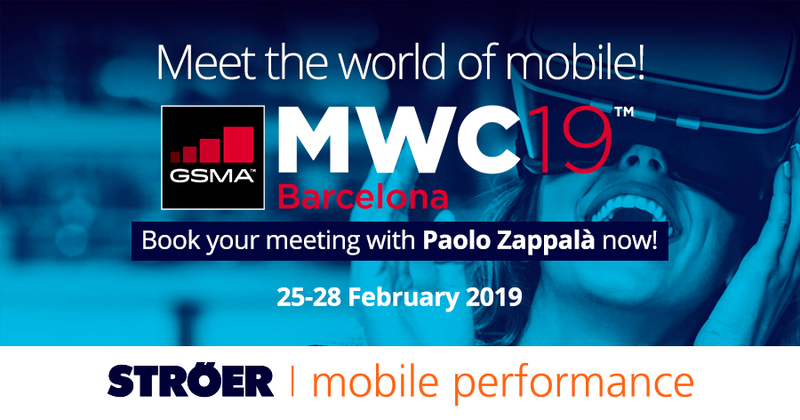 Ströer Mobile Performance will send Sales Management Senior Expert Paolo Zappalà to Mobile World Congress 2019 in Barcelona. Meet with Paolo to find out more about our company, which is the mobile division of Germany’s digital marketer. We have a lot of exclusive direct offers for our partners. Book your meeting with Paolo now – just click here!